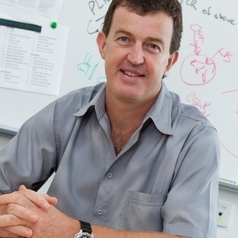 He returned to Australia in 2009 as a NHMRC Australia Fellow. He has consulted with Private Equity Investment, Pharmaceutical, Biotechnology and Diagnostics companies, was Managing Director of Cambridge Medical Innovations (part of Alere Inc.) and CSO of Akubio Ltd. He is an inventor and driver of a several antibiotic drug discovery programmes with lead compounds pre-clinical. He is an expert in label-free technologies and their application to drug discovery and development with two books in this field. Chief Scientific Officer, Akubio Ltd., UK. Senior Research Partner, AdPro Tech Ltd., UK. Senior Research Scientist, Sense Proteomics Ltd., UK. Co-Founder & Managing Director, Akubio Ltd., UK. Senior Consultant, Biacore AB, Sweden. PostDoctoral Fellow , Cambridge Centre for Molecular Recognition, University of Cambridge, UK. PostDoctoral Research Fellow, Cambridge Centre for Molecular Recognition, University of Cambridge, UK. Optical Biosensors in Drug Discovery, Nature Review Drug Discovery 1:515-528. 2002	Smart Innov Award, UK.